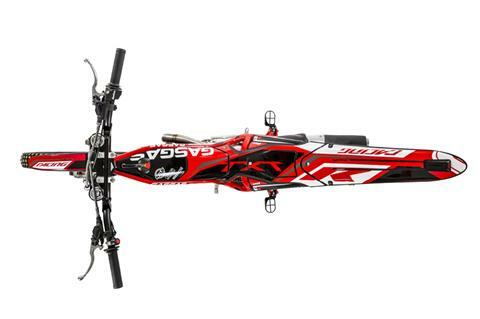 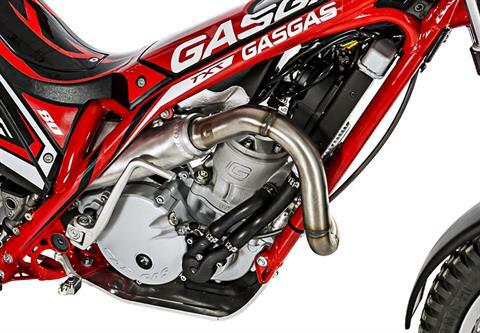 Often the image of adults is reflected in youngsters, like with the new Gas Gas TXT 80 Racing. 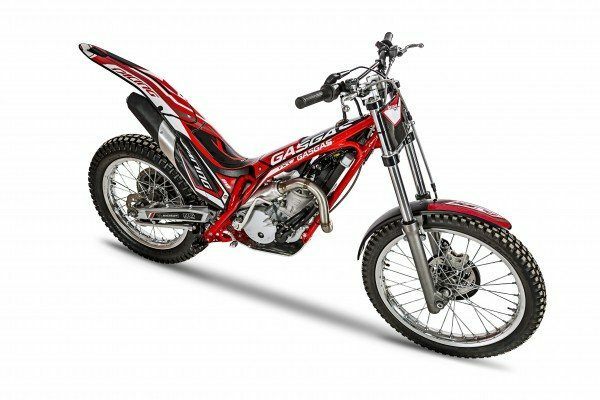 The new trial bike from Gas Gas is a small-scale re-creation of a full-sized champion. This machine has the same TXT genes that have written great chapters in the story of trial and now form part of the most recent addition, the smallest member of the Gas Gas family, the new TXT 80 Racing. 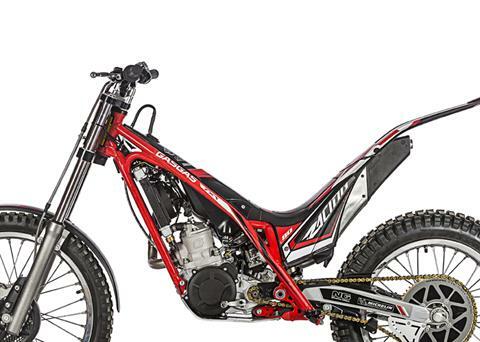 This little bike has inherited the best from its older brothers and is adapted to trial’s promising young riders for tomorrow and keeps the competitive edge of the TXT initials that form its competitive nature. 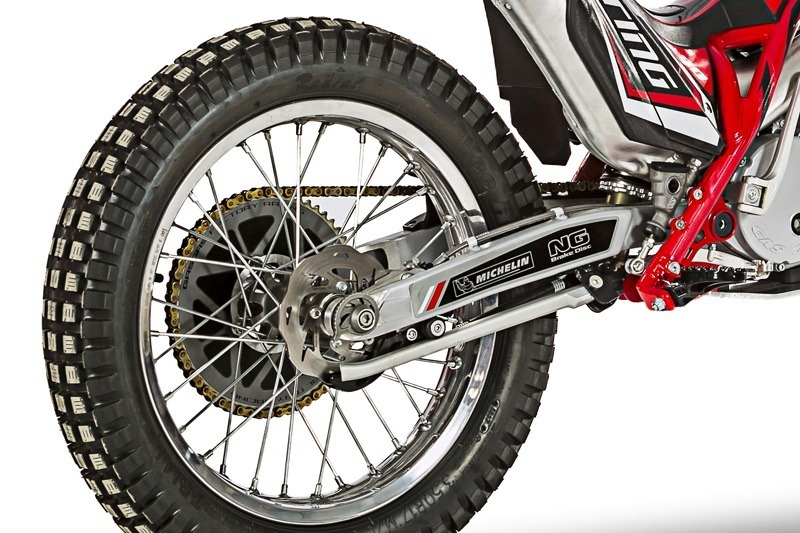 A SMALL-SCALE REFLECTION OF THE BRILLIANT TXT SAGA: The similarities between them all are obvious. 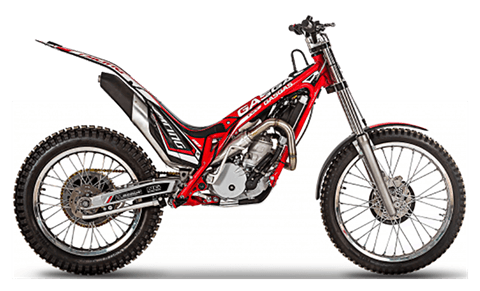 This is also true for the TXT 80 Racing, a children’s bike that not only shares the frame as its big cylindered brothers but also its looks and decoration. It also has elements such as the exhaust and silencer of a bike that has adapted its size to the height and weight of the smallest rider, taking into account both comfort and ergonomics when ridden and taking command of the situation. 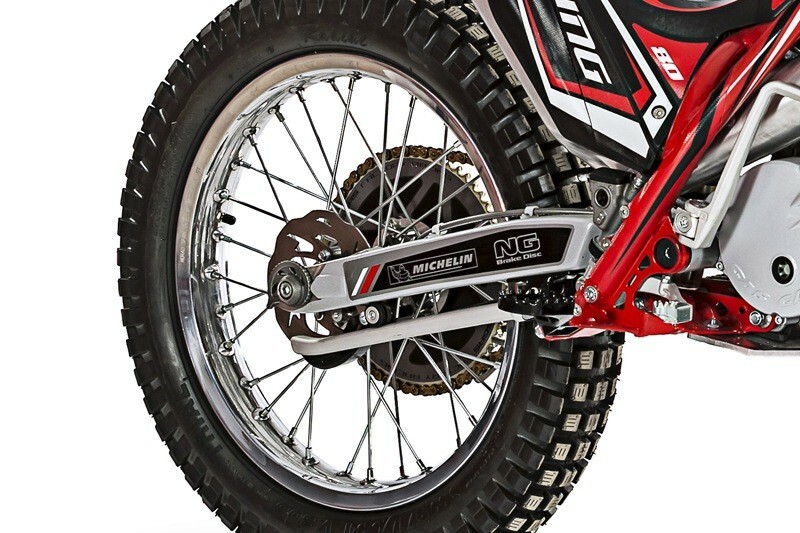 In this way, the TXT 80 Racing has taken on board various changes, such as the incorporation of foot-pegs positioned further forward and slightly higher so children can have a better posture on the bike and reach the handlebar and the brake and clutch levers more easily, giving a better sense of safety and control. These characteristics are added to the adaptation of the swing-arm, which has been shortened together with the wheels that have been made smaller with 19” on the front and 17” on the back. This bike also takes the lower weight of its rider into account and so has front forks and a rear monoshock specifically designed for this model allowing for the lower weight. 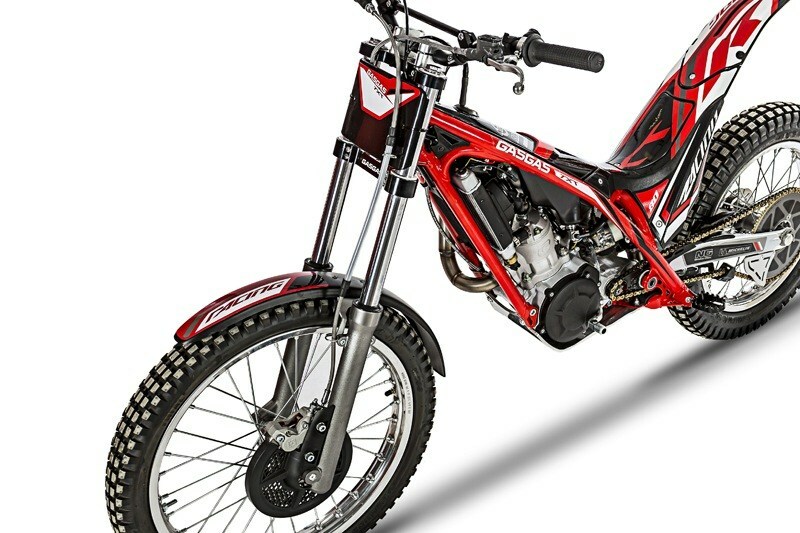 ENGINE TOGETHER WITH A LONG LIST OF FEATURES: The TXT 80 Racing has engine in its 2019 version. A engine based on the professional trial unit sharing the maximum number of components and presents its rider with a piston, crank-shaft, primary drive sprocket and nut, Hidria magnetic flywheel, –with the possibility of adding an inertial flywheel-, Spal fan and DellOrto carburettor in accordance tot the engine capacity. A long list of features giving us an overview of the complete bike thanks to the endless quality details of the GasGas TXT 80 Racing, a bike which has adapted its light touch gear change and its exhaust outlet to the needs of the engine. 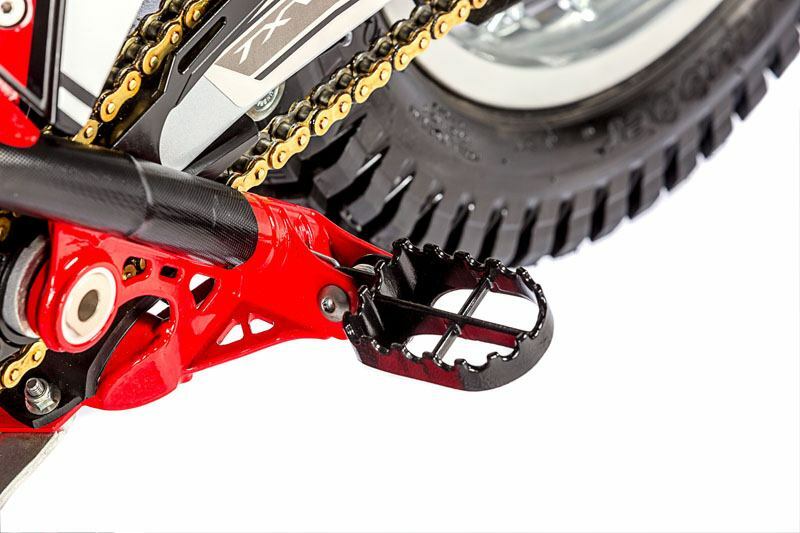 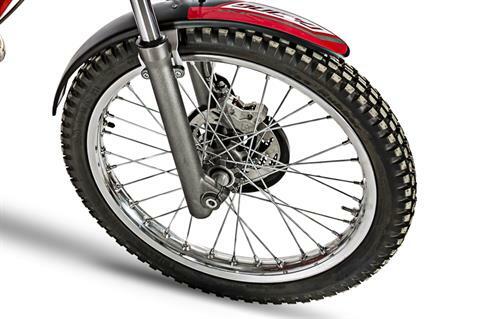 Likewise its secondary transmission has a fully covered half-inch chain to comply with the stringent FIM trial competition regulations.